Abbie Rose Stone's acquired wisdom runs deep, and so do her scars. She has successfully navigated the shoals of a long marriage, infertility, challenging children, and a career. 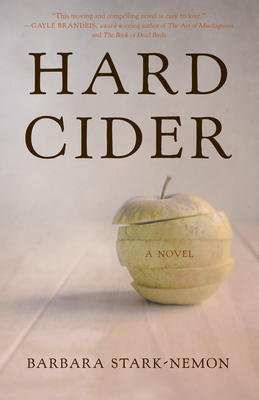 Now it's her turn to realize her dream: producing hard apple cider along the northern shores of Lake Michigan that she loves. She manages to resist new versions of the old pull of family dynamics that threaten to derail her plan--but nothing can protect her from the shock a lovely young stranger delivers when she exposes a long-held secret. In the wake of this revelation, Abbie must overcome circumstances that severely test her self-determination, her loyalties, and her understanding of what constitutes true family.